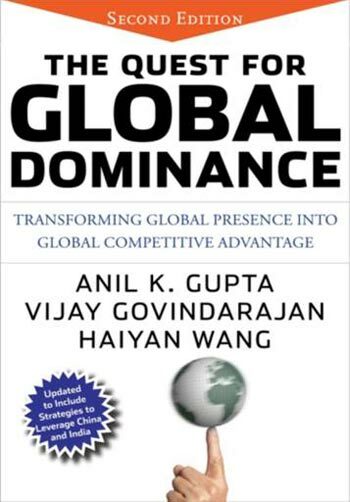 Anil K. Gupta, Vijay Govindarajan, & Haiyan Wang, THE QUEST FOR GLOBAL DOMINANCE. Wiley, 2008. The rapid emergence of a multipolar and highly integrated global economy is making globalization the single most important issue facing companies today. In this new era, virtually every industry is a global industry and every business a knowledge business. The Quest for Global Dominance provides executives with leading-edge ideas on how to accomplish these tasks in a manner that makes them easy to put into action. 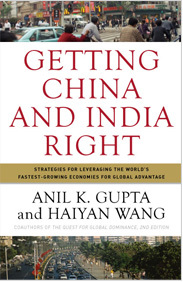 “…outstanding guide to building global presence” – PETER F. VOLANAKIS, President & COO, Corning Inc.
Anil K. Gupta & Haiyan Wang, GETTING CHINA AND INDIA RIGHT. Wiley, 2009. Many multinational corporations think of China and India largely for off-shoring and cost reduction and limit their marketing to the wealthiest few. With such shortsightedness, the opportunity of the century will pass them by, argue business strategists Anil K. Gupta and Haiyan Wang. To help business leaders develop robust global strategies in the age of China and India, the authors uncover the surprising range of the hidden opportunities and challenges presented by these emerging giants. They reveal the secrets to capturing the hearts, minds, and wallets of consumers there and to leveraging the complementary strengths of each country to achieve global dominance. Anil K. Gupta, Girija Pande, & Haiyan Wang, THE SILK ROAD REDISCOVERED. Wiley, 2014. Tata Motor’s Jaguar Land Rover unit is the fastest growing luxury auto seller in China? 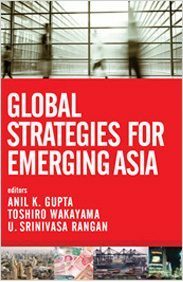 Anil K. Gupta, Toshiro Walkayama, & U.Srinivasa Rangan (editors), GLOBAL STRATEGIES FOR EMERGING ASIA. Wiley, 2012. Led by China and India, the rise of emerging Asia is transforming the structure of the global economy. By 2025, if not sooner, China will almost certainly overtake the U.S. to become the world’s largest economy. By then, India is likely to have overtaken Japan to become the world’s third largest economy, after China and the U.S. Besides China and India, Asia also includes other fast-growing economies such as Indonesia, Malaysia, Philippines, Thailand, and Vietnam. Added together, by 2025, these developments are likely to make Asia’s economy larger than those of the U.S. and Europe combined. 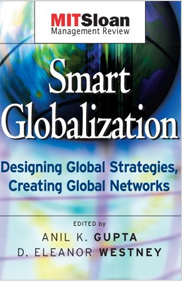 Anil K. Gupta & D. Eleanor Westney (editors), SMART GLOBALIZATION. Wiley, 2003. Smart Globalization is a compendium of leading-edge thinking on global strategy first published in the acclaimed MIT Sloan Management Review. 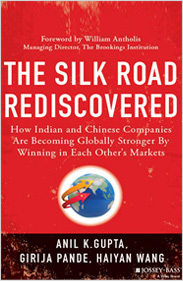 The central premise underlying this book is that globalization can be a double-edged sword. The global or globalizing firm has the potential to reap several types of benefits such as the vast potential of a much larger market arena, opportunities to capture scale- and location-based cost efficiencies, and exposure to a multiplicity of new product and process ideas.